August 28, 2014 was a heart-breaking day for many Real Madrid fans as well as for all the rival clubs of Manchester United and their fans. United’s signing of a world class winger and extremely skilled midfielder just boosted the confidence of the torn and broken football team. As soon as he joined the club, he proved he was worth the money the club paid for him. Ángel Fabián Di María Hernández, commonly known as Ángel Di María signed a five year contract on August 28, 2014 with one of the greatest, glorious and most successful clubs in English football history, Manchester United. A stunning fee of £59.7 million resulted in many criticising the club’s high spending over a player who never got enough time on the pitch at his former club, Real Madrid. But United’s current manager, Louis Van Gaal knew what he was doing. Since Cristiano Ronaldo left United in 2009 for Real Madrid, the club had been facing difficulty in finding a player who could take CR7’s position. 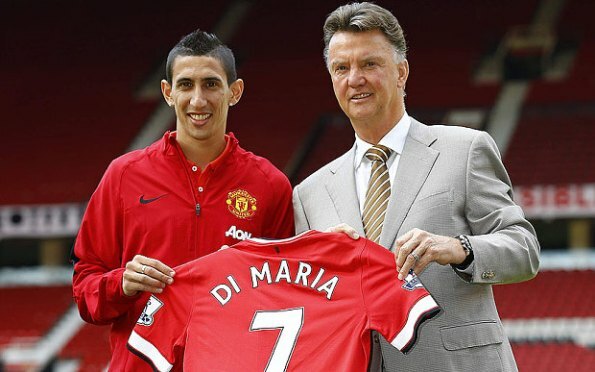 Prior to Di Maria arrival, the club offered the number seven shirt to Antonio Valencia during the 2012-13 season, but that did not suit Valencia because he started to lose his form. 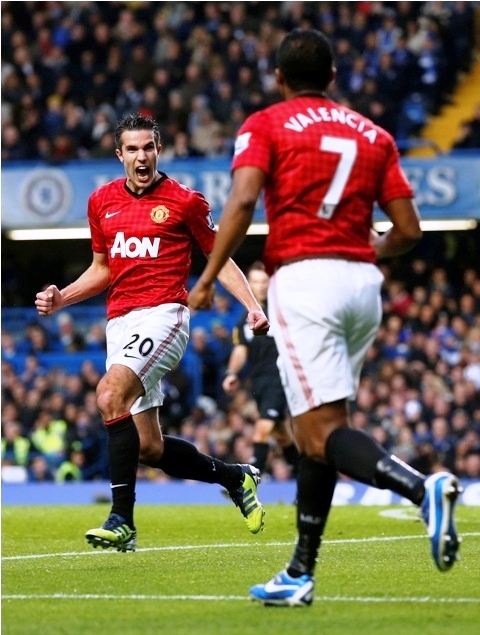 Eventually, Valencia returned to his number 25 shirt, leaving the prestigious number seven position vacant. The number seven shirt has been an iconic number and has previously been worn by legendary players like George Best, Bryan Robson, Eric Cantona, David Beckham and Ronaldo. 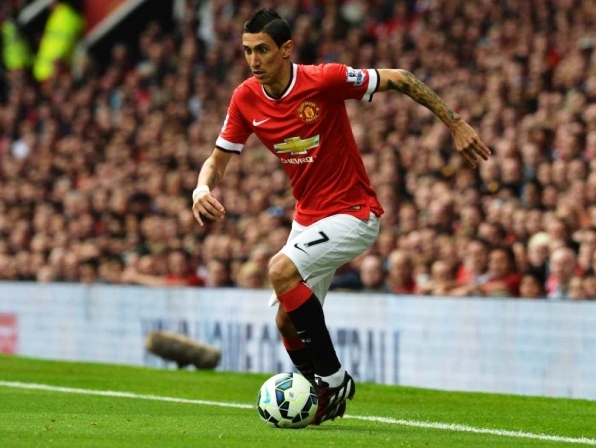 Di Maria’s United debut was against Burnley, in which he played for 69 minutes. Although the match ended in a 0-0 draw, Di Maria showed glory supporters that he has what it takes to wear the number seven jersey. He made 33 passes in the game with an accuracy of 72.7%. 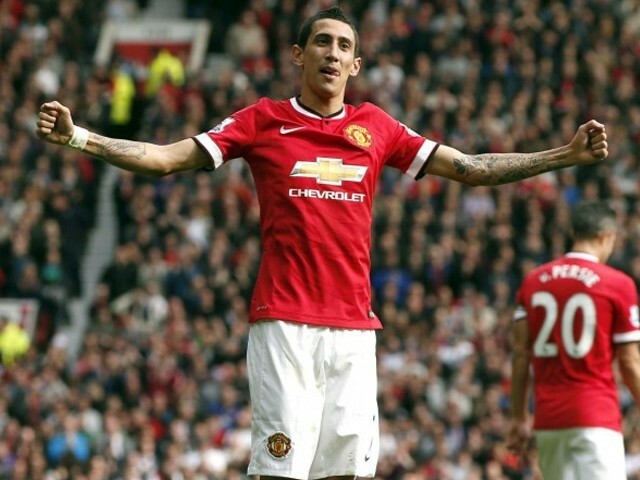 Di Maria scored his first goal for the Red Devils on September 14th during his Old Trafford debut in which he opened the scoring in the 24th minute with a free-kick in a 4-0 win over Queens Park Rangers (QPR). Since then, he has scored three goals in the English Premier League (EPL), including a magnificent chip goal against Leicester City. He has provided four assists in his first six matches in the EPL. His average passing accuracy has been 80.6%. His overall performance this season, including the international friendlies and the pre-season matches played for Real Madrid, shows that he made six assists, 24 shots, nine on target and four goals in nine matches. He was declared ‘Man of the Match’ after United’s win over Everton and has won United’s ‘Goal of the Month’ award for his goal against Leicester City. Keeping the Red Devil’s current form and their performance last season in mind, Di Maria’s signing has really proven to be a positive step towards the team’s revival. His arrival has perhaps brought back the spirit the team once had. Even though United’s current side has some very good players in every position, they lack in defence. I suppose the return of Phil Jones and Jonny Evans will solve their defence problems. Even though Di Maria has proven to be one of United’s most influential players in their inconsistent start to the season, one cannot help but wonder how dependant United is on him. Keeping in mind Di Maria’s recent injury during United’s 2-2 draw with West Brom, United may have to play their upcoming crucial games against Chelsea and Manchester City without one of their best players. Even though reports claim that his injuries are not that serious, I hope Van Gaal’s strategies lead the Red Devils back to glory, not immediately but gradually and very soon.